window similar to the one illustrated in the following screenshot. 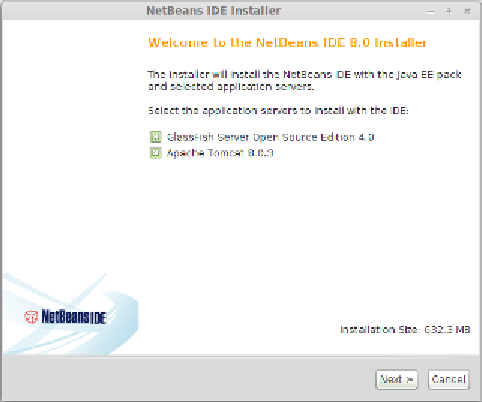 The pack shown may vary depending on the NetBeans bundle that was downloaded. 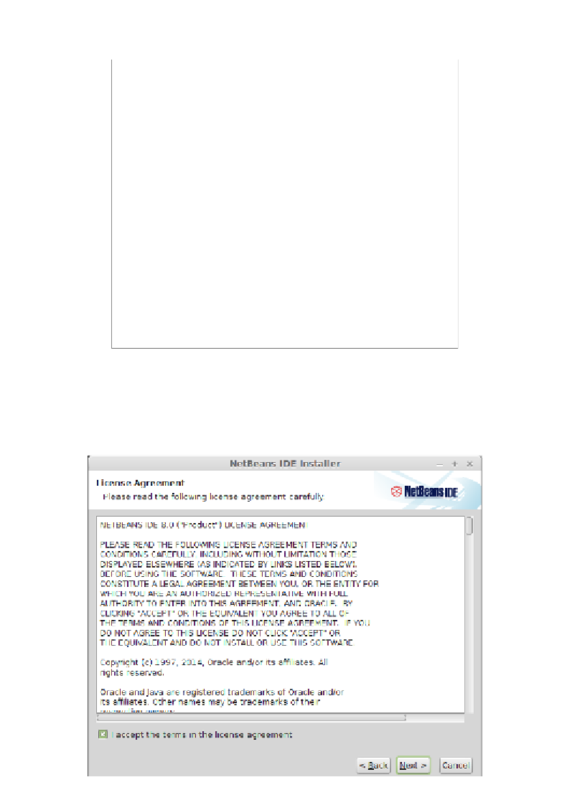 The preceding screenshot is for the Java EE bundle. At this point, we should click on the button labeled Next> to continue the installation.